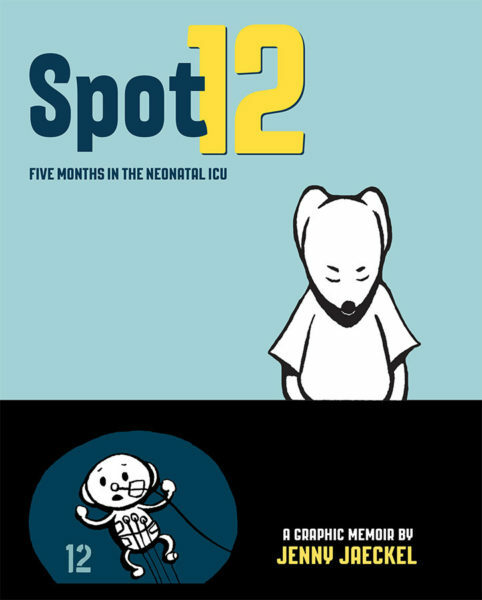 Summary (from the back of the book): Spot 12 delivers the gritty details of a mother, a newborn, and a five-month stay in the Neonatal Intensive Care Unit (NICU) in a visually gripping graphic memoir. A routine prenatal exam reveals a dangerous problem, and first-time parents find themselves thrust into a world of close calls, sleepless nights, and psychological crisis. Surrounded by disagreements, death, extended family tensions, and questions of faith, the mother struggles to maintain a positive frame of mind. Against the anti-septic, mechanical reality of the NICU, the dedicated doctors, nurses and therapists are drawn as sympathetic and wry animal characters. Doctor Eyes and Nurse Gentlehands are two of the care providers that do all they can to take care of Baby Asa. But even the best hospital staff make mistakes, and Jaeckel and her husband's vigilance must be acute. At times they battle feelings of helplessness, but their determination, insight, bravery, and connection ultimately helps keep their little one alive. 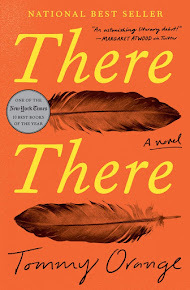 Review: I have signed on for quite a few TLC Book Tours this fall and was looking forward to this one not only for the topic of the story, but also since it is a graphic novel and it's been far too long since I've read one. I love that in a graphic novel you get a good story, amazing artwork, and it's quick. I fit this one in while reading a very long novel (814 pages) from which it felt good to take a one-evening break. Jenny's birth story is one that I wouldn't wish on anybody; her pregnancy was going fine until week 38 when they discovered she had far too much amniotic fluid. That began the nightmare of 5 or 6 months in NICU with her daughter. I am extremely lucky: I had an easy pregnancy, an easy birth, and my daughter had no health problems (she just couldn't latch). When your own children are born with no problems it is easy to forget that other parents are going through hell just to keep their newborns alive. Jenny's story pulled me in from the first frames and kept my attention throughout. I think it was effective that the artwork in this book is all in black and white as that makes the starkness and the difficulties seem more real. I think color would have detracted from the seriousness of the story. I also think it was good that the author talked about her relationships with her mother and with depression as she was fighting for her daughter's life. I kept hoping Jenny would get more help so that she could cope. I do think it's interesting that the story happened in Canada to an American couple. They realized that with the Canadian health care system they could afford the care their daughter needed and chose to remain in Canada instead of returning to the US where the bills would have been astronomical. It definitely helped me read this book knowing that there is a happy ending; Jenny's daughter is alive and doing well though it hasn't been easy. I love that at the end there are photos of the family showing life beyond the trauma of NICU. Kudos to Jenny for writing about such a harrowing experience and for using the form of the graphic novel to do it. I think it's really effective.